Emerging from remote coastal community, Numbulwar in the Northern Territory, Mambali are a young and exciting band bringing sounds from the Gulf Of Carpentaria to a wider Australia. Fusing their traditional cultural songs and rhythms with contemporary sounds and beats, Mambali create a pulsating performance that has wowed local audiences since 2008. Skinnyfish Sound System is a loose collective of artists in and around the Skinnyfish eco system focusing on collaborations, reworkings, remixings and other creative endeavors separate to each individual's work. Home is the lead single from John Butler Trio's forthcoming record HOME. It's a deeply personal look inward and a change up from what fans will expect from the band. After spending last month touring stadiums across the UK with Little Mix, Adelaide's Germein are back home with thousands of new global fans and brand-new song 'Knocking At My Door'. After spending the last month touring stadiums across the UK with Little Mix, Adelaide's Germein are heading back home with thousands of new global fans and a brand-new song 'Knocking At My Door'. Gurrumul is remembered today as one of the most important figures in Australian music history, blind from birth and emerging from the remote Galiwin’ku community on Elcho Island. Wäk is the sound of the crow crying, it is also the name for the crow. In this manikay the Wäk is falling from the heavens towards the place called Djapaŋuruana. Today we reveal the astonishing ambition of the album, ‘Djarimirri (Child of the Rainbow)’, for the first time with the track ‘Djolin (Musical Instrument)’ unveiling the amazing fusion of two grand traditions into one of the most ambitious projects in Australian music history. ‘Talking’ shows Germein at their best, mixing their close three-part harmonies with a soaring break-out chorus. The song is a strong statement from the all-female act and will launch in Sydney on the eve of International Women’s Day, March 7. DIDIRRI is described as a “sombre folk dandy” whose uninhibited lyrics tug on exposed nerves while his charming melodies soothe your heart. Written in response to Paul McCartney's "Hey Jude", and feeling that there is no way out. And knowing that these thoughts are chemical and will pass, those words "take a sad song and make it better" mean that you'll be there after all of your thoughts have gotten better. Darwin’s Caiti Baker is one of Australia’s strongest genre-bending collaborators, creating a unique and contemporary take on urban NT inspired indie soul. This first taste of forthcoming album ‘Wolf’ is a streetwise urban groove, laced with stunning harmonies and a unique layering of electronic and acoustic instrumentation that stamps her musical authority and delivers a stiff message to those who prejudge what Caiti Baker is all about. 6 piece indie-soul band from Melbourne. Third single from their upcoming album 'Manual Override'. It's a bright, sparkling, groove-laden track showcasing lead singer Nkechi's ethereal and powerhouse vocals. Sydney-based artist and producer making international sounding hip-hop. 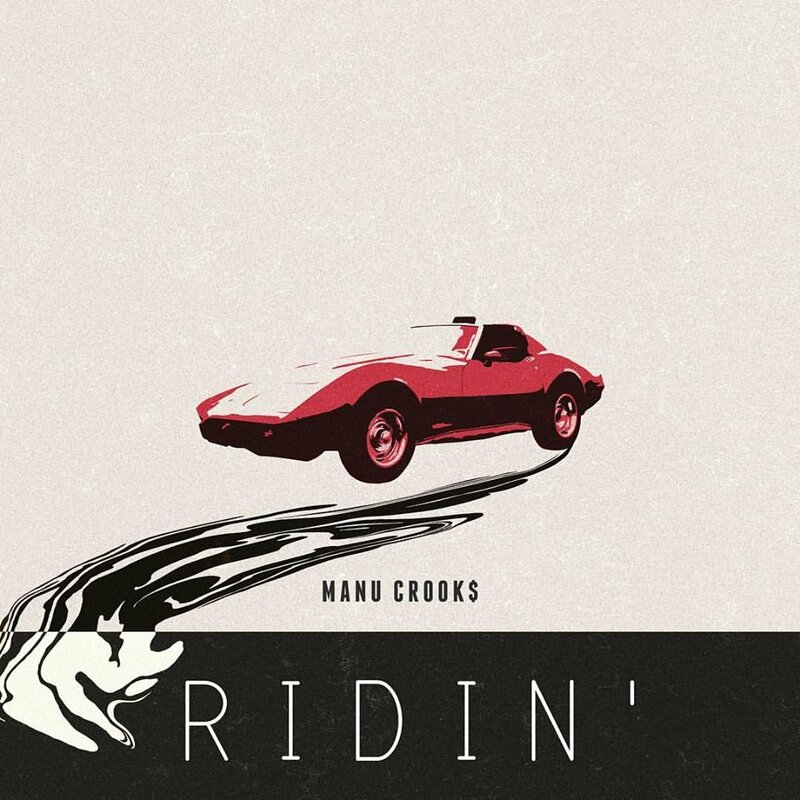 The latest single from Sydney-based hip hop artists Manu Crooks - who has previously been added to triple J, featured on Beats with Zane Lowe, and interviewed by The Fader. Brisbane female duo mixing jazz vocals with electronic beats to create a woozy, dreamy, lush pop sound. The latest track from Brisbane duo OKBadlands. After the success of their album ‘This Is Our Vice’ last year, including their track “Come On Mess Me Up”, Cub Sport return with the lush, gospel-inspired “O Lord”. While still deeply rooted in pop, the track also indulges soul, R’n’B, and gospel influences, making for Cub Sport's most exciting release to date. Four piece visceral grunge/punk act from Perth, WA. New track off EP 'Cough and Splutter' which will be available June 30 digitally and July 7th physically. 'Cough and Splutter' is the first of two EP's to be released this year, both EP's will be combined into a vinyl release in October. Melbourne four-piece combining elements of indie rock, slacker rock, and punk rock to create rambling rock tunes with strong storytelling. Coupling a sense of humour with intricate wordplay, “Teamwork” is a song about feeling like the best version of yourself when you are with other people. It’s also a song about making coffee. With a psychedelic sound conjuring imagery of summer and 7” records, Melbourne rock band The Lovely Days are creating a melody-driven soundscape that nods to superheroes of the 70s/ 80s. "I wrote this after meeting a girl who just got back from a yoga/spa retreat down on the Mornington Peninsula. Then it just became this nostalgic trip about growing up near beautiful places like ‘Newrybar’ and the ‘Byron Hills’ and being caught up in a teenage romance." Dear Seattle are made unique by their high impact sing-along choruses reminiscent of early 90's grunge in a similar vein of Aussie favourites Violent Soho, Luca Brasi, & Tired Lion. The second single from the highly-anticipated upcoming EP. Combines heartbreaking melodies with plainspoken language, his storytelling style nearly always drawing from own experience. Which, at twenty-two, has surprising depth in its maturity. ‘Blind You’, will be the first single to come from Didirri’s debut EP he is currently working on. Sydney four-piece who do their own take on rock and roll.